From time to time it’s worth reviewing your current marketing material, Park Evolution can help design, redesign or create any marketing material from simple 1 page sales flyers to 20 page high quality brochures using the latest print technology and materials all tailored to your needs and budget. Don’t get caught out, keep up to date with stock sheets and sales material, your sales people and customers alike should know what is for sale before it even arrives. Start selling off plan, start driving upgrades, start building a quality database. 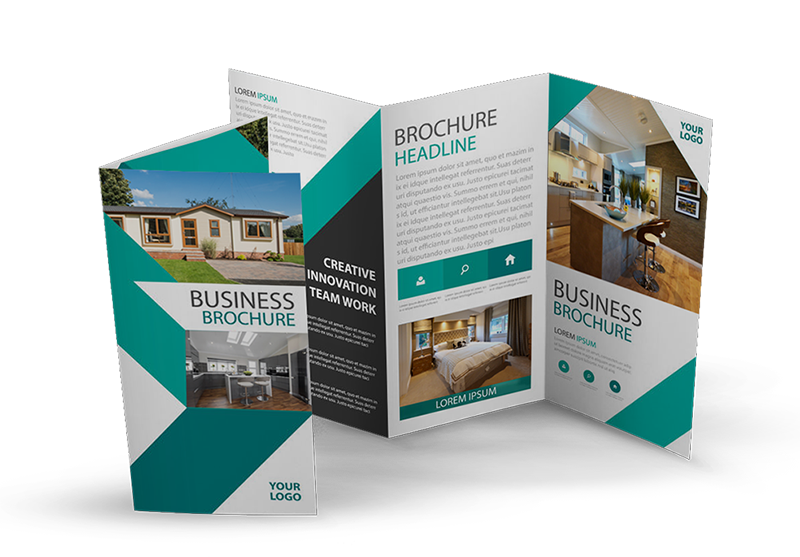 Don’t wait, get in front of your potential buyers, nothing is more effective than direct marketing, from researched area or demographic targeted mail or leaflet drops to volume mail outs and e-flyers, we can do it all… Design, print and distribution. What does your park say to people? What impression are you giving prospective clients when they first arrive, and how do your existing clients feel about your business? Our specialist knowledge of the park industry allows us to offer branding review services, from logo and stationery design to your signage, website, office and beyond. Once we’ve completed a full review we will provide a full report, with bespoke advice for ways you can improve your existing brand, or redesign your business branding, to ensure you’re giving the best possible impression every step of the way. Never underestimate the value of professional paperwork. Using fresh, simple office stationery and customer paperwork ensures you look the part and present a professional and consistent image to the world. It can help you craft the perfect message, and also reassure your customers. Our design and printing services include the creation of letterheads, compliment slips, business cards, sales invoice pads, receipt books, branded envelopes, licence agreements, stock transfer forms and so much more. Create a quality team atmosphere and impression and really bring everyone together with unique park merchandise that will lend an air of professionalism and visual continuity to your business. Merchandise guarantees your team are always perfectly presented in branded clothing that allows them to be easily identified as staff members through the use of your brand colours, logo, and park name. Choose from a range of clothing including polo shirts, fleeces and jackets, and select embroidered or print forms of your logo for the perfect look. Perfect your brand further still and encourage your customers to do some promotion on your behalf, with additional merchandise for sales events, ranging from pens, mugs, key rings, and coasters, to mouse mats and other accessories.